A new year... a new comic! Again, this one was drawn 100% digital. I'm still getting the hang of it, but the process does work faster. Plus it was much easier to add the table legs in the back I forgot to draw at first. 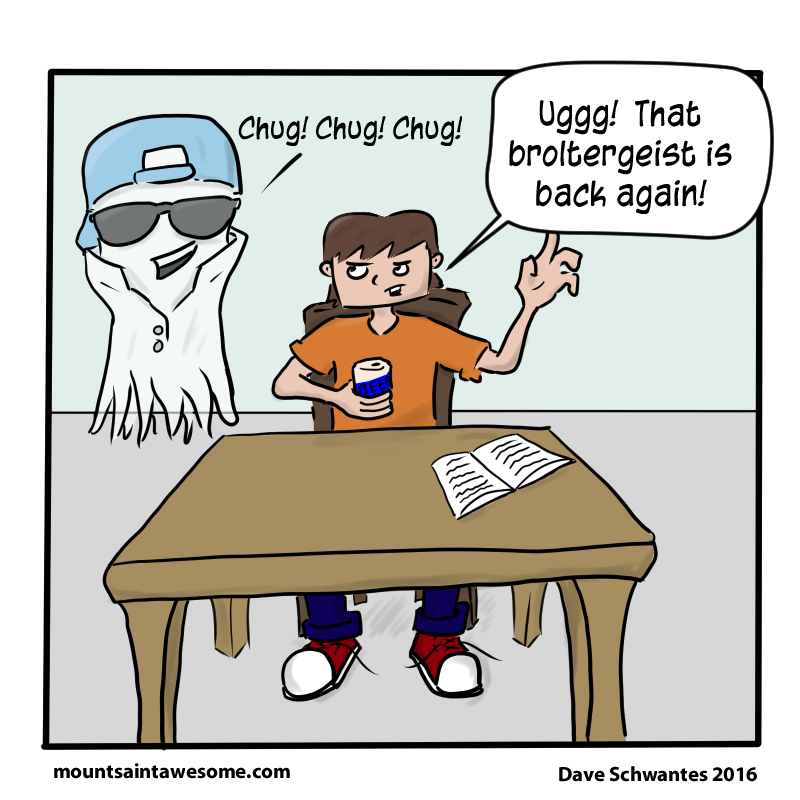 I'm glad the ghost has a popped collar.